Tell the Kids to Go Climb a Rock at Rocksport November 4 | Joe Hayden Real Estate Team - Your Louisville Real Estate Experts! You know how the kids make you want to start climbing the walls sometimes? 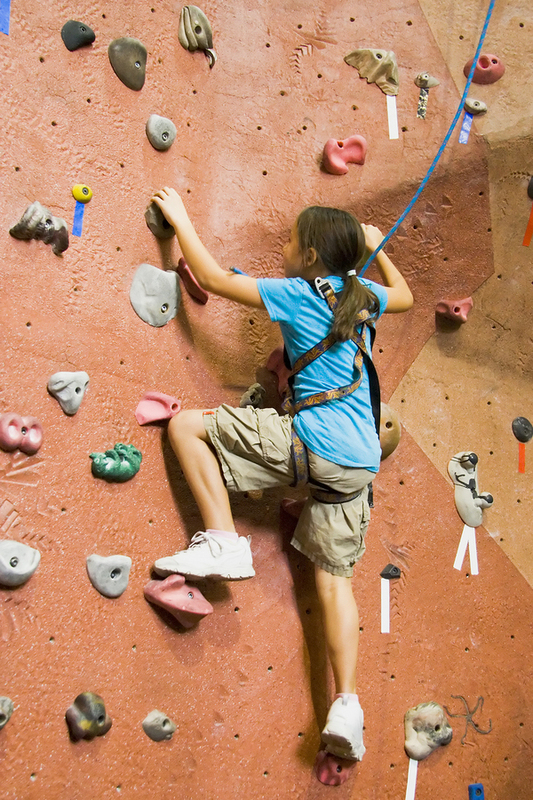 On November 4, let them do the wall-climbing at the rock climbing youth program at Rocksport. Be at Rocksport from 6 to 9pm, and bring the kids. The Rocksport youth program is designed for kids of all ages and all skill levels, so even little climbers with no training can get active in a positive way. Children will receive private instruction from trained professionals, and walk-ins are welcome. For $60 per month, kids get access to all Friday night youth climbing events. Rock climbing is a good way to get physical, and it's a great way for children to build confidence. They'll also get to meet other kids, and maybe even discover a brand-new interest while they're socializing. Parents can socialize, too. Rocksport is at 10901 Plantside Drive in Jeffersontown. If the kids are driving you up a wall, drive into J-Town -- because here, you can always find something for them to do. When you can't take the kids to climb the walls, you can let them jump around at the Trampoline Park. They might want to play at the fun dome, bowl a few rounds at the bowling alley or race go-karts around the track. Jeffersontown has all of these family-friendly attractions, not to mention plenty of shopping, restaurants and fun stuff for the adults. Two hundred years ago, the pretty fields of J-Town were all farmland. But when big corporations came to the area, Jeffersontown became a community full of hard-working, modern families. J-Town is its own city with its own identity, and you'll see it as soon as you drive into the neighborhood. Jeffersontown prides itself on keeping every part of this community beautiful, and you'll find unique memorials, details and building styles in J-Town. It may be a city, but Jeffersontown is a community made up of people -- and they get involved. J-Town even has its own Facebook page, so residents can stay up-to-date with various news and get-togethers. The community pride J-Town feels is something you can literally see when you go driving through the neighborhoods and subdivisions that make Jeffersontown a place to call home. Does your taste in homes run more traditional, or modern contemporary? J-Town has a huge collection of traditional and more contemporary styled homes, in sizes big or small enough to fit any family. You'll see lots of landscaping, shaded sidewalks and well-kept homes all over Jeffersontown, because people who live here want to keep this community beautiful. They have a lot to be proud of, and you’ll see it when you visit J-Town this November.